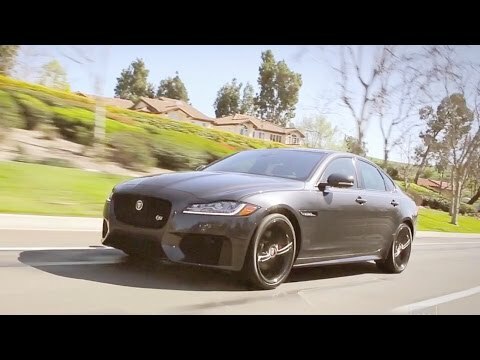 Jaguar's XF performance sedan for 2017 offers luxury buyers a unique way to stand out in a crowded parking lot full of BMW, Mercedes-Benz and Audi cars. With dramatic styling that is both elegant and aggressive, the performance-oriented 2017 XF is a real looker, displaying traditional Jaguar design elements that won't have it mistaken for any other brand. My car buying experience was pretty awesome. They had exactly what I was looking for. When I purchased my vehicle there was less than 1000 miles on my car. Have had no problems with my vehicle other than regular scheduled maintenance. All and all I am very please with my vehicle and plan to have it for a long while. Its paid for and has 189k miles on it. We love the styling and speed;.. We do not like the way some of the computers work, as the way they could. Screen should me more interactive..
2016 / 2017 Jaguar XF 35t Review and Road Test | DETAILED in 4K UHD! Jaguar Land Rover North America, LLC (Jaguar) is recalling certain 2017 XF vehicles. The affected vehicles may have a cracked left hand inner sill panel. In the event of a crash involving a left hand impact, the cracked sill panel may result in the underfloor fuel lines rupturing and leaking fuel. Jaguar will notify owners, and dealers will inspect the vehicle's left inner sill panel. If cracks are found, Jaguar will repurchase the vehicle and supply the customer with a new vehicle, free of charge. The recall began April 7, 2017. Owners may contact Jaguar customer service at 1-800-452-4827. Jaguar's number for this recall is K458.